Do you need a coupon code or want to know what’s on sale? special pre-sale discounts for all new products. 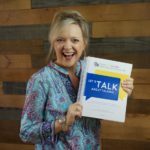 You’ll also get a copy of my free eBook “A Parent’s Guide to Speech-Language Development.” This guide outlines how language develops and explains red flags to indicate delays in all areas of communication. Sometimes parents don’t understand the important role that social skills, cognition, and receptive language play in expressive language development. 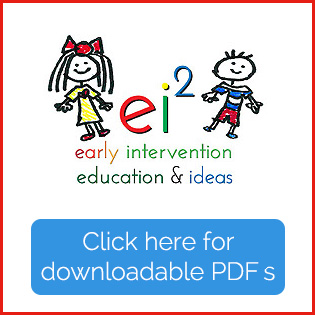 SLPs and other therapists often download and email the pdf (or print a hard copy) for families on their first visit to jump start parent coaching. 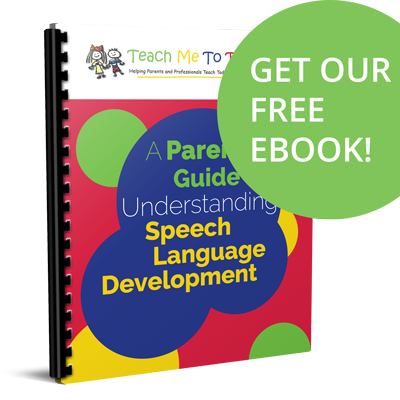 When parents understand how language develops, they are much more eager to follow your recommendations! Sign up today in the SUBSCRIBE space in the right column.